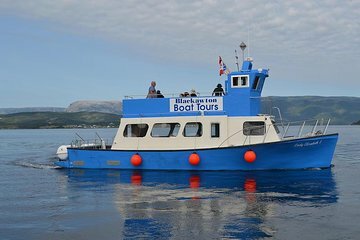 Cruise around Bonne Bay at the center of Gros Morne National Park on a boat tour that departs from Woody Point and Norris Point. While on board, learn about the history of Newfoundland and its first settlers as you watch for whales, dolphins, and bald eagles. The boat follows the shoreline around the western arm of Bonne Bay. Other tour options include live local entertainers on an evening charter. Truly enjoyable. Knowledgeable crew and guides. History, geography, geology, humour, music to boot --all rolled into one. Thank you. The trip was very enjoyable . It was also a beautiful day and lovely scenery. The tour guide was very knowledgeable . Gave us all kinds of history on Boone bay.